Don’t miss you….just three units left in this amazing new build development! The three mason units await their new owners. Portsmouth is home to entrepreneurs, artists, small business owners, and more. Some move on to unfathomable success some must decide between risk and growth. Old Stone Coffee is one such endeavor that created its own presence both in Portsmouth’s West End, downtown, and beyond. Unlike most ice coffee where the coffee is brewed hot and then transformed into ice coffee at Old Stone Coffee the beans are cold brewed eliminating the acidic taste that is often associated with coffee. Sadly, we just learned that Old Stone Coffee faced the unenviable decision of assessing growth and risk and sadly announced that in just a couple of weeks they would be ending their run in the cold ice coffee business. A fixture at the Portsmouth Farmers market, White Heron Tea is a West End treasure and just the other week celebrated 5 years at their retail location on Islington street. Their original mission started out with goal of offering delicious and healthy organic teas. This has morphed into a cafe and coffee house. Today consumers can walk into the retail store front located at 601 Islington Street and order a cup of coffee, tea, and a home made baked item and even lunch. Congrats to White Heron Tea for 5 fabulous years! The West End is known for dining, home decor, breweries, and more. Did you know that you can get your pet groomed in the West End? Check out "Your Pet's Peeve Pet Grooming Salon." The West End has it all! This small business was founded in 1989. 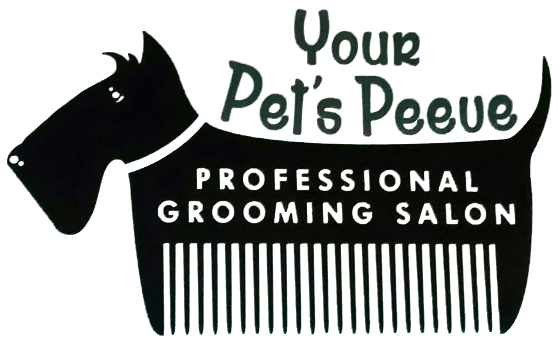 Today, the business is owned by Jennifer Rouillard who has worked there since 2003 and attended the Massachusetts School of Pet Grooming in Medford, Massachusetts. Services include breed cuts, nail clipping, spa services, flea treatments, and even facials! They pride themselves on luxury services and attention to detail. We've been touting for some time that the West End is a life style. It's an opportunity to work, play, live all in one area of Portsmouth. Iron & Air Supply is geared toward the motorcycle lifestyle of adventuresome combined with edginess. They started out as a sleek magazine and have merged with the Papa Wolf Supply Company to offer a clothing, luggage and home decor line of products that embodies the "Live Free of Die" attitude of the 2 wheel lifestyle. They even added Lucky's Barbour Shop so you can get the "look."